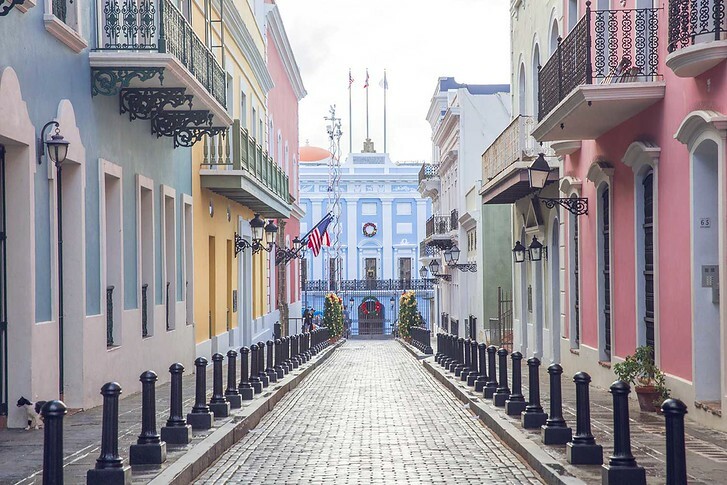 Most people head straight to San Juan and stay in the charming capital for the entire duration of their visit to Puerto Rico. Today I wanted to share some off the beaten path options that are definitely worth a visit. 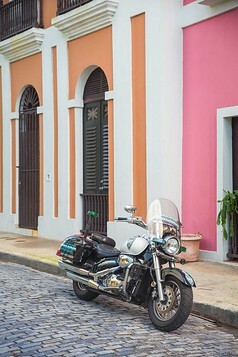 From rum tastings to the rainforest, keep reading for fun Puerto Rico tours and day trips! The unique thing about the island of Puerto Rico is that it is one of the most unique island terrains in the Caribbean. There’s beautiful white sand beaches, a tropical rain forest and even bioluminescent bays.. so if you love adventure or scenic views, you definitely will want to make the effort to explore more of the island! Here are 6 of Puerto Rico’s best day trips. Culebra is one of Puerto Rico’s best day trips. The small group of islands is located off Puerto Rico’s east coast with white sand, turquoise waters and tree covered hills. Each small island offers something different – from sea turtles and manta rays at Tamarindo to dramatic sunsets at Punta Melones. We went to Culebrita which has a cute lighthouse, some deceptively strong waves and beautiful blue skies for days. The catamaran ride was led by a group of fun local hosts, who kept us well fed and hydrated all day with rum punches! 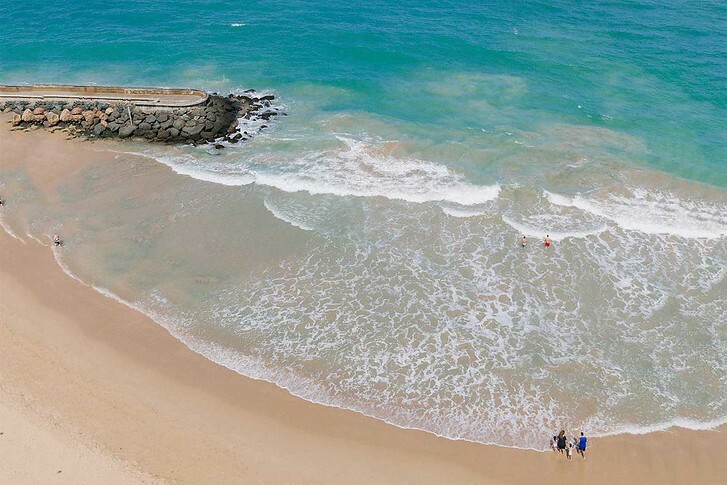 If you love the water, this is the one day trip from Puerto Rico you can’t miss. The best way to live the island life? On a boat of course! This fun catamaran cruise takes you to Icacos island for a full day of sun, swimming and relaxing. Snorkel gear is provided so you can see Puerto Rico’s beautiful underwater marine life! The best part? Unlimited rum punch and pina coladas. The tour handles all transportation, including hotel pick up and drop off, as well as a buffet lunch. Puerto Rico is one of the most unique islands in the Caribbean, as it has both beaches and a rain forest to offer! From San Juan, this half day tour takes you to the United States’ only tropical rain forest where you can explore nature trails, get up close and personal to a scenic waterfall and learn about the area’s unique biology. Bring your camera! The leafy nature reserve has beautiful wildflowers, orchids and panoramic views. The guided tour includes hotel pick up and drop off, a knowledgeable guide and park fees. 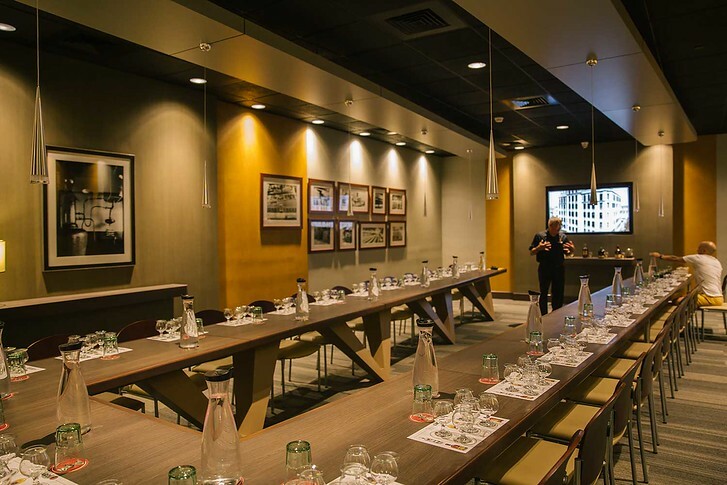 We visited the Bacardi factory the morning after a late night trying local Puerto Rican rums… so maybe we should have planned out our schedule a little better. First we received a drink ticket and had the opportunity to drink a fun rum-based cocktail before the tour started. Then we headed indoors for a short look at the rum barreling process and production. It was a brief guided visit but the real highlight comes after – rum tasting time! We’re not big rum drinkers but were glad that we upgraded for the tour + tasting ticket because this was such a treat. You enter a conference like room where 5 rums are set out. 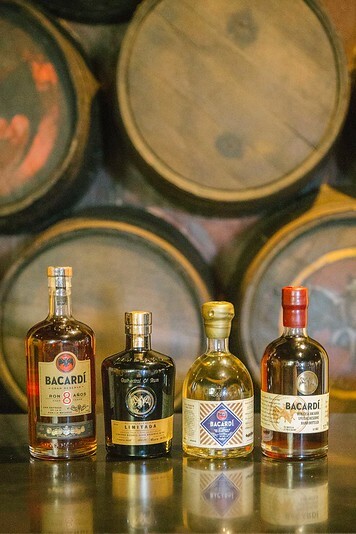 A guide walks you through the notes of each tasting rum and goes in-depth into the different ages, barrels and flavors that develop to form distinct rums. Bioluminescent bays are seriously cool. There are only 5 in the world and a whopping 3 of them can be found in Puerto Rico! What is a bioluminescent bay you ask? A bioluminescent bay is one that seems to glow with eerie blue-green light. When the Spanish first colonized Puerto Rico, they controlled the Vieques islands and thought the light emissions were a sign of demonic influence. I guess I would too if I didn’t know the science! What makes bioluminescent bays glow? Essentially these watery lagoons are home to micro-organisms called dinoflagellates, who produce their own food through photosynthesis. The chemical reaction of photosynthesis emits light as a by product and so the bay glows with eerie light! The Spanish tried to siphon off the evil from reaching the ocean by blocking up the islands with huge rocks. Funnily enough, blockages had the opposite effect by creating a bay and allowing the little dinoflagellates to breed more effectively – so we have the Spanish to thank for Puerto Rico’s magnificent bioluminescent bays! Bioluminescent bays typically have lots of mangrove trees, which are a source of vitamin B12 and help the dinoflagallates survive. If you want to see the bay at its peak glow, visit right after a rainstorm. Mangroves release a large amount of B12 after rainfall, which agitates the micro organisms and causes them to produce a stronger blue glow. Day trips to Vieques are one of the best things to do in Puerto Rico! We didn’t have time for this tour but heard about it from friends we made on our day trip to Culebra, since they raved about it nonstop! From eerie interiors to unexplained sinkholes, stalactites and stalagmites, Rio Camuy is one of the earth’s oldest and most unique cave systems. You can tour the Camuy caves on a full day trip. These caves are over a million years old! It also includes a stop at the world’s largest radio telescope, a giant concrete bowl wedged in Puerto Rico’s northern coastline. 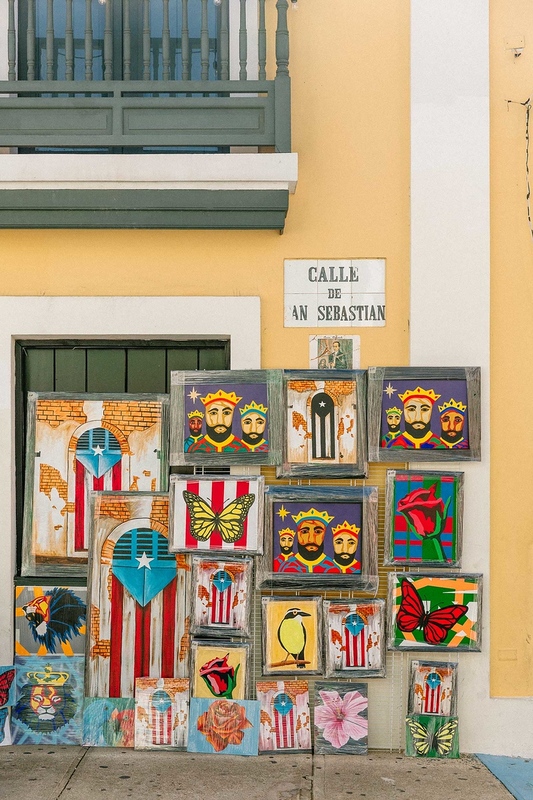 Which Puerto Rico day trip most appeals to you? Many U.S. airlines offer daily, direct flights from select US cities. We flew Jet Blue from New York City’s JFK airport. Puerto Rico is offering cheap flights to encourage visitors to the island – you can set an alert flight deals here. 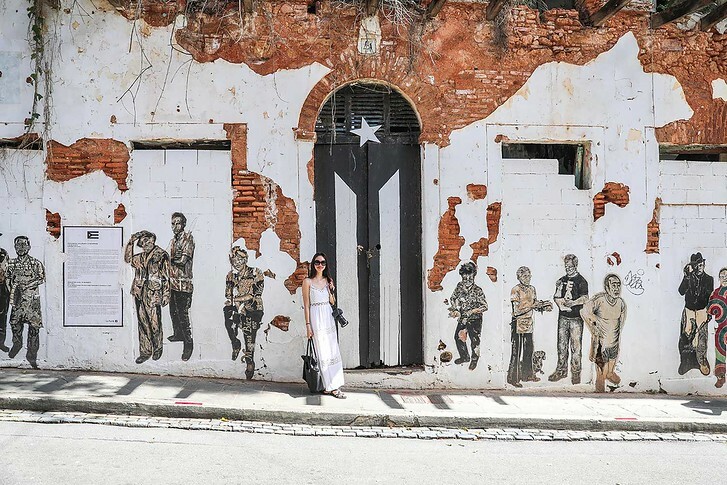 Traveling to Puerto Rico as an American citizen is incredibly convenient. All you need is your license, no passport required, as the island is a U.S. territory. Likewise, no need to bring a travel adapter, exchange currency or purchase a SIM card. American phones, dollars and plugs work just fine throughout the island. As a result of Hurricane Maria, life in Puerto Rico has changed. 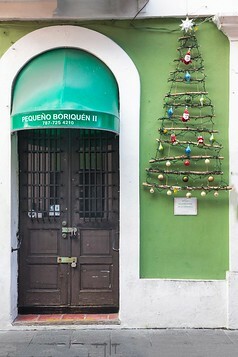 We visited in mid January 2018 and found that electricity was up and running throughout the capital of San Juan. Select hotels and restaurants are open; we’ve listed the hotels we visited and used here. Check here for great deals on accommodation. Lastly, be sure to visit Puerto Rico with travel insurance. Whether you get injured and need to be hospitalized, or your phone gets stolen, or flight delay forces you to cancel all or part of your vacation, travel insurance will help when you need it most. Get a quote for your trip here. Puerto Rico Day Trips You Need to Take! 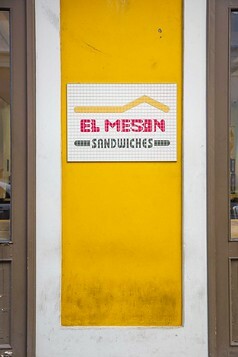 Where to Eat in Puerto Rico: 6 Restaurants to Try!